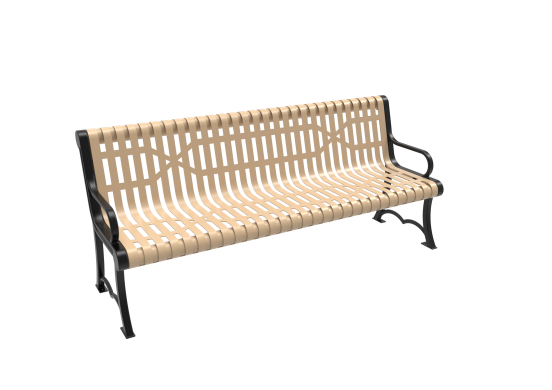 The Downtown Bench with Back is a stylish seating option that not only offers guests to your park a comfortable and convenient place to sit, but also adds to the aesthetic quality of your location with its beautiful design. It is made from durable steel straps that give it a rigid and secure structure that can withstand plenty of wear and tear. 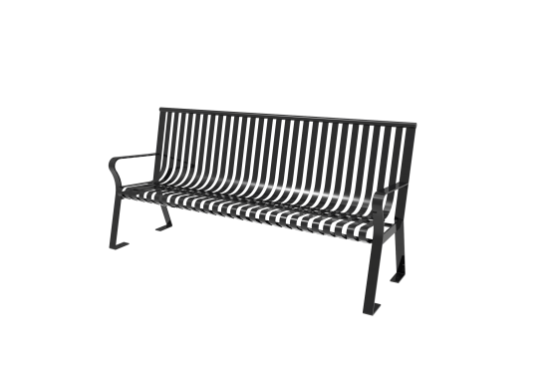 The spaces between the metal slats give it a striped appearance, while also allowing rainwater to drain from the bench so that it stays dry. The straps have an elegant curved shape that contours with the user’s back to maximize comfort and support. 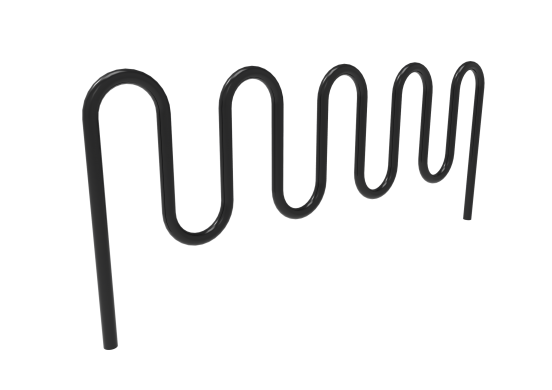 They bend upwards to form the back of the chair, which gives users a comfortable place to lean back and relax for extended periods of time. It is particularly useful for elderly or physically disabled patrons who will appreciate the additional support.